All Grain Saison homebrew recipe. 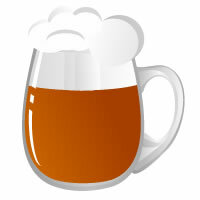 This homebrew recipe uses the following ingredients: Maris Otter Pale - UK, Pilsner - US, CaraMunich III - DE, Unmalted Wheat - BE, Special B - BE, Citra Hops, Perle Hops, Wyeast Belgian Saison 3724 Homebrew Yeast. This recipe was cloned from Straight-laced IPA.